At the present time the city of Philadelphia once a major player in boxing doesn’t have any world champions. Still fighting are several such as Danny “Swift” Garcia who held WBC titles at super lightweight and welterweight. The other is Steve “USS” Cunningham who held titles at cruiserweight. Leading today’s top 8 prospects out of Philadelphia is welterweight Jaron “Boots” Ennis, 18-0 (16), trained by his father Derrick “Bozy” Ennis. Their gym is over the Harrowgate Gym on Venago Street off of Kensington Avenue called “Bozy’s Dungeon”. Ennis also trains current top welterweight “The New” Ray Robinson. The father was 4-1 (3) as a professional and decided to concentrate on his 3 sons. The eldest Derek “Pooh” Ennis was 24-5-1 (13), and held the USBA Super Welterweight title and is now 38 having retired after losing in July of 2014 to current IBF Super Middleweight champion Caleb Truax. The second son Farah was 22-2 (12), having won the NABF Super Middleweight title. His second loss was to current WBA Light Heavyweight champion Badou Jack. His following fight was his last on May of 2015 ending with a win. He is 35. The third son to come along is 20 year-old welterweight Jaron “Boots” Ennis, 18-0 (16), who was an Olympic alternate after losing 2 of 3 to Gary Antuanne Russell. He turned professional in April of 2016 under manager Cameron Dunkin. He has been promoted by Chris Middendorf’s Victory Promotions. His biggest wins were over Ayi Bruce, 23-14 and Gustavo Garibay, 13-9-2 in his most recent bout. He is 9-0 in Philly rings. Next up is bantamweight Christian Carto, 13-0 (11), who trains out of the Rosati Gym in South Philly’s S. Chadwick St. The owner is his trainer Mickey Rosati. He is managed by his brother Frank III who was a novice Golden Gloves champion. Carto lives in Deptford, NJ. Carto won the National Golden Gloves in 2014. 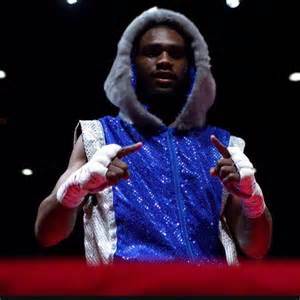 He turned professional in July of 2016 and is 11-0 in Philly and scheduled March 2nd at the SugarHouse Casino in Philly in the 8 round main event against James Smith, 12-1, of Detroit. His two biggest wins have been over Juan Guzman, 22-7, and Alfonso Melendez, 14-1. He is 21. Next up is featherweight Stephen “Cool Boy Steph” Fulton, 12-0 (5), who trains out of the James Shuler Gym on Brooklyn Street in West Philly owned by Buster Custus. Fulton is a former National Golden Gloves champion in 2013T and trained by Hamza Muhammad. He has fought for one year in the World Series of Boxing prior to turning professional in October of 2014. He has only fought once in his home city of Philly. He is 23. Fulton has defeated 5 unbeaten opponents including Luis Rosario, 8-0-1, and Adam Lopez, 8-0, in his last bout in December of 2017. Last but not least is Jeremy “King” Cuevas, 7-0 (6), a 22 year-old southpaw. His biggest win was in September of 2017 stopping Justin Savi, 31-13-2. He is 6-0 in Philly rings and trained by Tony Bersanti. Cuevas turned professional in October of 2016. The Pizarro brothers are part of another pair of Puerto Rican decent with a big fan following. The younger, 18, Lightweight Branden, is 8-1 (4), and scheduled to fight this Saturday taking on Marlon Lewis, at the Orlando Live Event Center, in Orlando, FL. He is trained by his father Angel, Sr. The older brother 22, is Super Bantamweight Angel Pizarro, Jr., 3-0 (2), who has had several cancelled bouts since his last fight. He is also trained by “Bozy” Ennis. Super Featherweight Avery Sparrow, 9-1 (3), is 22 and in his last 3 fights has defeated Isaelin Florian, 6-0, Joey Laviolette, 6-0, and in his last fight Jose Lopez, 19-1-1, in his first 10 round bout. He is No. 14 in the WBO. His trainer is Vaughn Jackson and his adviser is J Russell Peltz. He is scheduled to take on Jesus Serrano, 17-5-2 (12), of Sonora, MEX, on March 9th at the Parx Casino, in Bensalem, PA.
Super Bantamweight Manny “Major Pain” Folly, 10-0 (8), is 25, and a former Philadelphia Police Officer. He is trained by “Bozy” Ennis.